3. 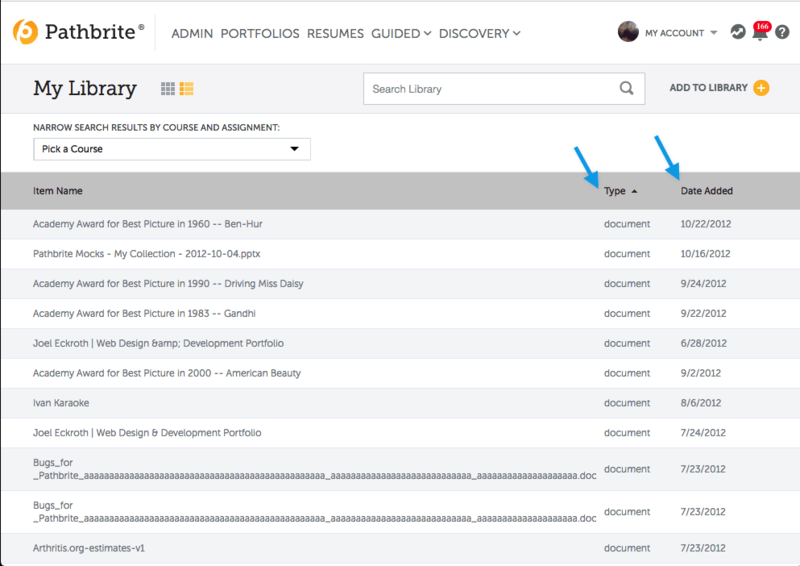 You can filter down even further and find content from a specific assignment within the course or program. 4. You can also sort all your library content by either type of file or by the date that the item was added to your library.